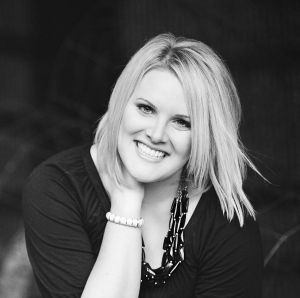 Life of Meg: Mingle Monday Link-Up + Giveaway Winner! I would definitely live during the 60's! Such a state that our country was in and the fact that so many awesome things happened during this time! Really though, I don't think I could pick just one ;) Give me a time machine please! I would love to live during the 40s for the fashion and the patriotism. I would love to see the 1800s because they wore those lovely dresses and talked way different then we do today! I would love to have been old enough in the '90s to experience it more! The 40s and 50s-- seems like such a nice time period to grow up. I don't know if I would want to live there... but I would love to experience medieval days! I've been loving books about the people back then and I would love to meet them and see what they were really like! I always say I was meant to be in the 40s. Also - is the linky tool down or am I just not seeing it? I would chose to live pre cars, tv, computers, and iphones.. just to see what I could do with my time! I think I would pick the late 1770's (1776), I think that would be an interesting date to live during. Almost forgot to comment! I've always wanted to go back to the early 1900's, especially the start of World War One. I've studied it so much I'd love (in the least morbid way possible) to experience the societal changes first hand, because it was such a different time. Hi There! Just found your blog hop. Better late than never, right? haha. happy tuesday!! i think the 20s would be fun for the fashion but i really enjoy THIS decade! computers, internet, fast planes, iphones, traveling...air conditioning and tampons haah..idk if i would REALLY want to live in another decade :) xo jillian of cornflake dreams stop by! im hosting a minted giveaway. I'd live in the 50s. I love the fashion and music. The stories my grandparents have told me about being a young adult in that decade are amazing.